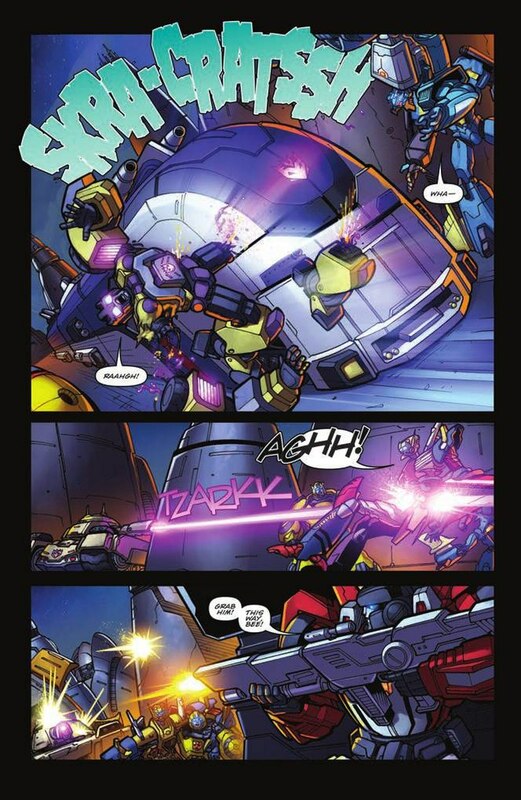 Robot Politics are swept away as Megatron plays his hand in this month's issue of Transformers: Robots in Disguise. The issue is written by John Barber with pencils by Andrew Griffith and inks by Brian Shearer, colors by Josh Perez and lettering by Shawn Lee. Prowl only takes orders from people taller than him. 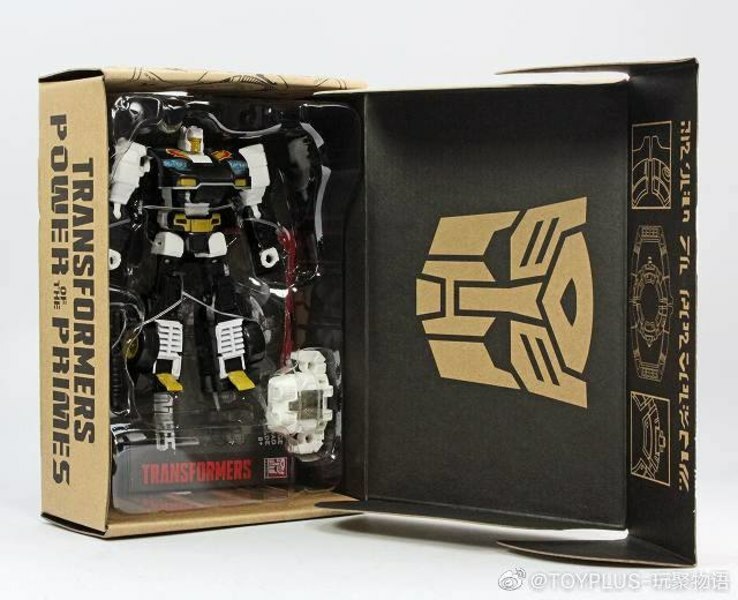 Sorry, Bumblebee. 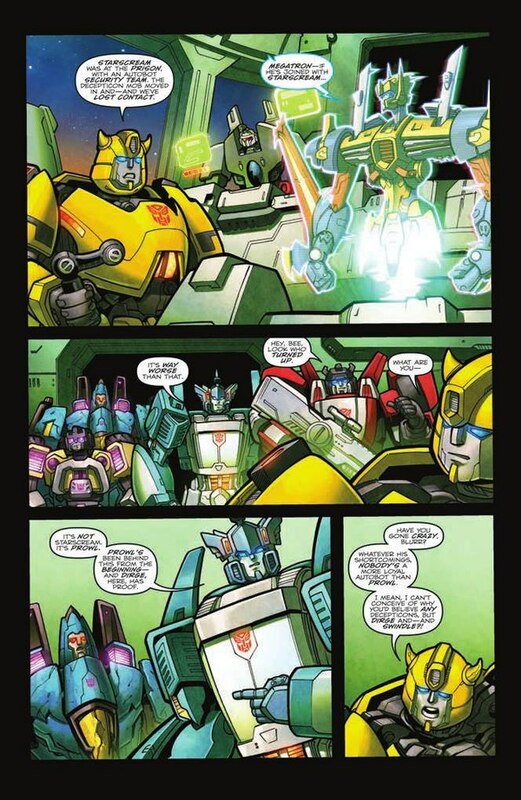 As a news crew decides that the next story is more important than Metalhawk's speech about Cybertronians working together, Blurr visits Bumblebee with Dirge - the only witness to Prowl's crimes - and they both inform him that Prowl is working with Megatron. 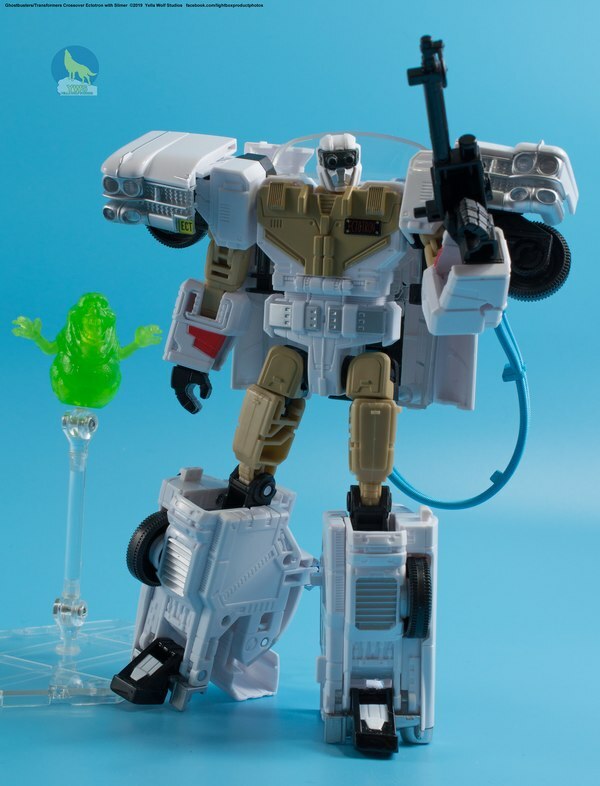 While Bumblebee is understandably skeptical, there is the little matter of Prowl's quarters being entirely and unexpectedly off the grid. 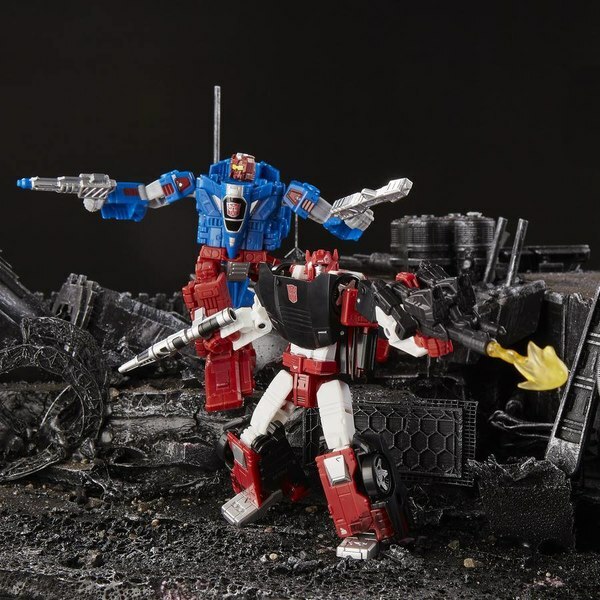 Bumblebee, Blurr and Sideswipe speed down there with Dirge and Swindle in tow, only to be attacked by a number of supposedly dead Decepticons and captured. 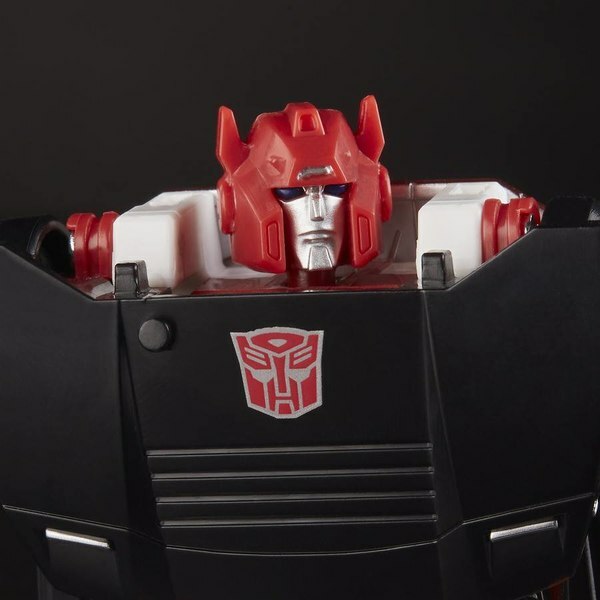 And of course, here is Megatron in his shiny new body to explain his master plan at length. What's the point of scheming without an audience? And then, the plan is set into motion. This is a really hard issue to talk about because beyond a certain point, everything is a spoiler. There's so much going on and I don't really feel right talking about most of it. Even the title I think implies a fair bit about what happens next- which is why it appears at the end of the story -so I'm not even going to give that. 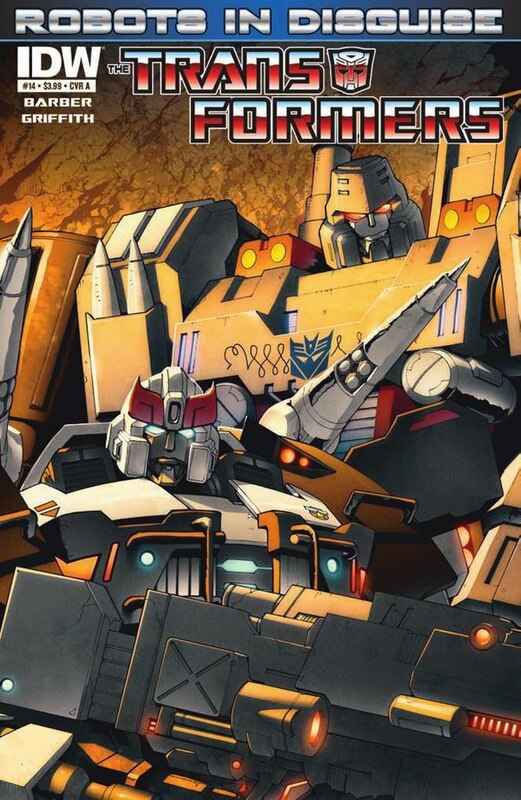 But, the meat of the book is Megatron's Info Dump, and it clears up a lot about what's been going on in Robots in Disguise from the very beginning: the effects of the wilderness, the purpose of Prowl's secret "war" against the Decepticons, and even Prowl's reasons for siding with Megatron are covered here. And it all makes sense in the end. It's obviously been carefully plotted out from issue #1 or even before. 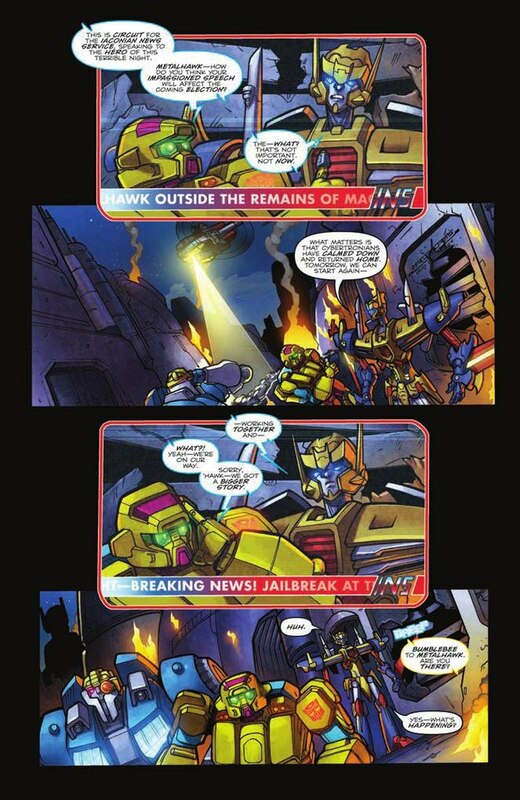 The Prowl explanation is a bit of a head-smacker; it's really telling of the quality of the writing here that I never even considered the ultimate catalyst of Prowl's betrayal even though the clues to it were all there. 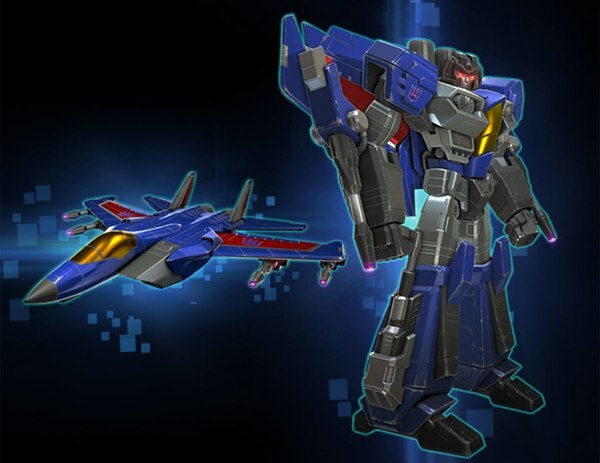 Then, after the exposition, we get a big surprise that I fully expect customizers and third parties to exploit to high heaven. 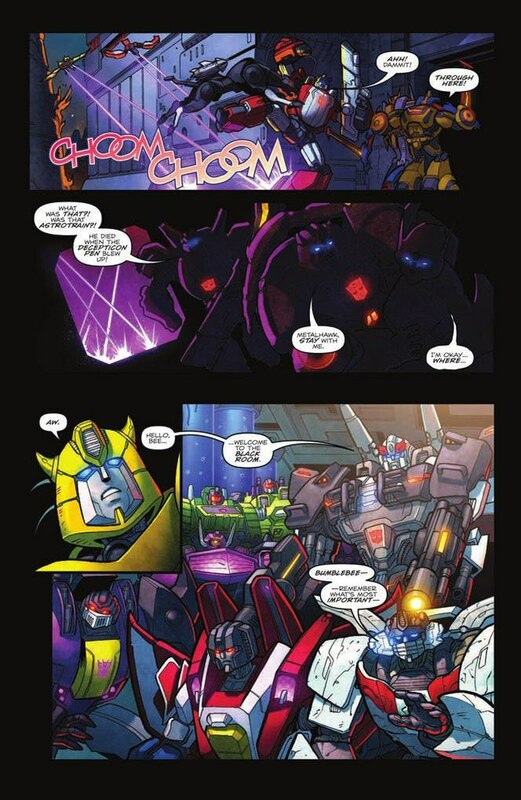 There's also a fair amount of death in here, but given that the book is already exploiting how difficult Transformers are to kill in the IDW universe, it's impossible to say at this juncture how much if any of it will stick. Speaking of the quality of the writing, how amazing is it that the Big Exposition is the star of the issue? I can't remember the last time I read an issue of anything where a five-page chunk of exposition didn't elicit a response of "get to the fight!" or worse, "that makes no sense!" Not here. 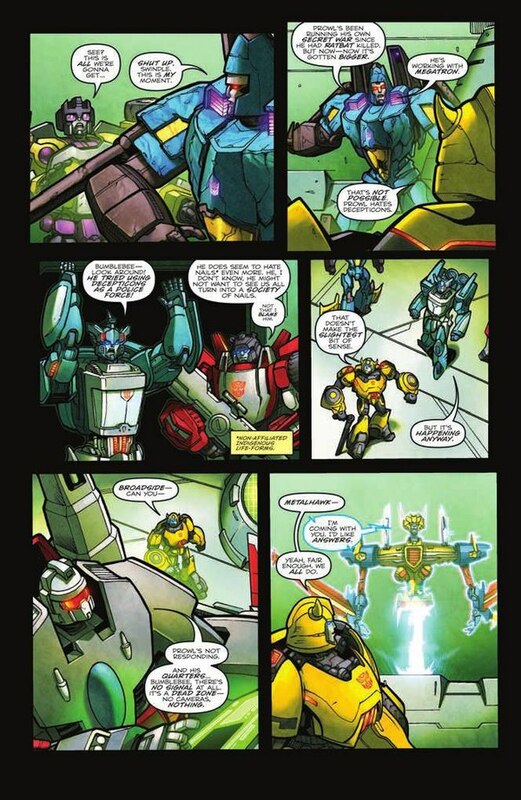 The literal talking heads are accompanied by scenes from appropriate points in the IDW continuity; a good old comic book trick from way back, to both remind you of what happened before and to keep things interesting to look at. Andrew Griffith, Brian Shearer, and Josh Perez execute it all very well. 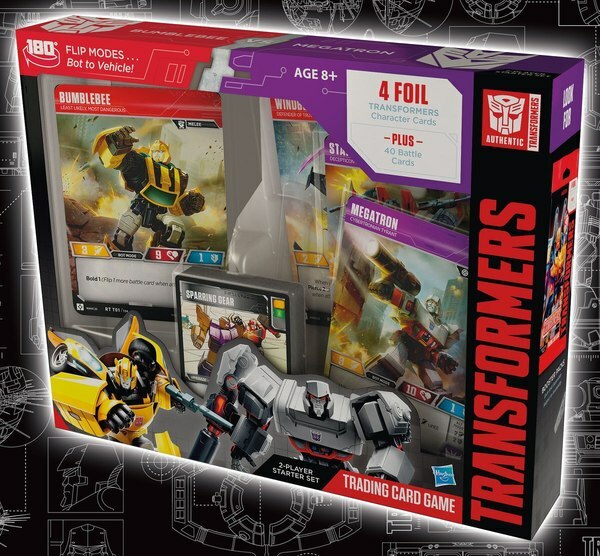 Design-wise, Megatron's new body is pretty nice too. 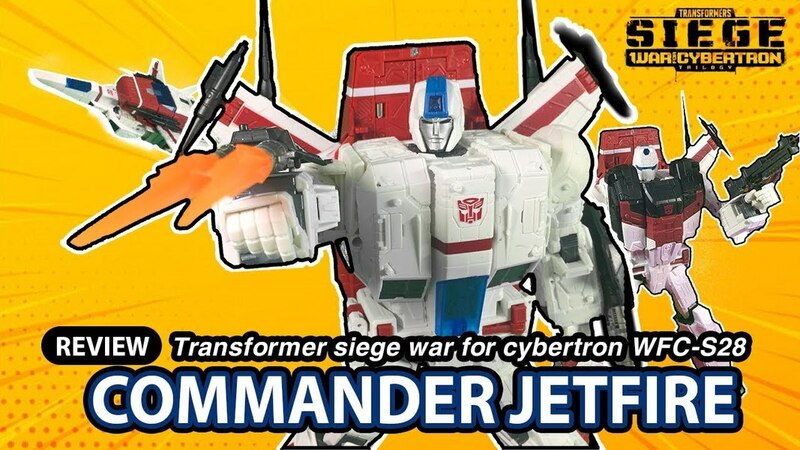 It's along the lines of the Stormbringer design, but I'm unsure if it's supposed to be the same model or something new. 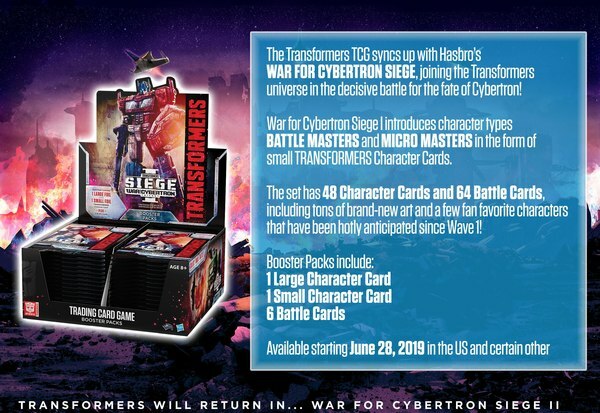 And again, I see shades of Beast Wars Megatron in the face design here, and given the level of scheme he's working, it's entirely appropriate. 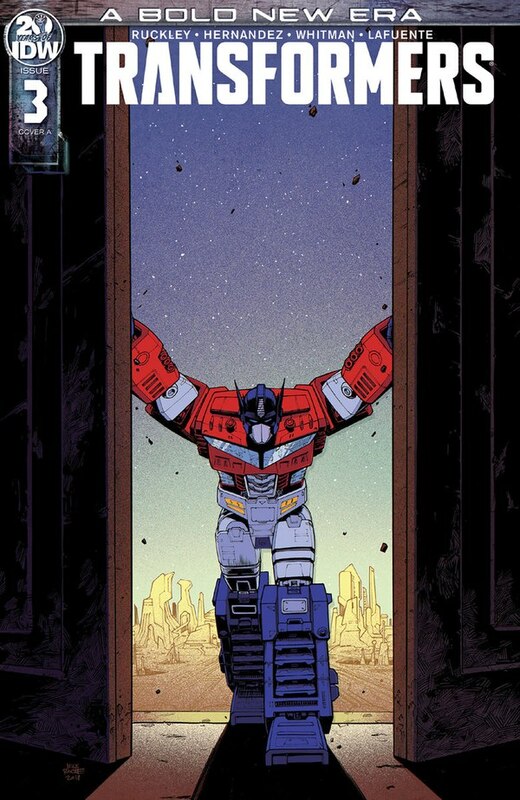 The art in the book remains intricate but followable as well as on-model and expressive, and even if I tell you Griffith isn't my absolute favorite Transformers artist working right now you should take that as a testament to the current state of the field. The art here is great. 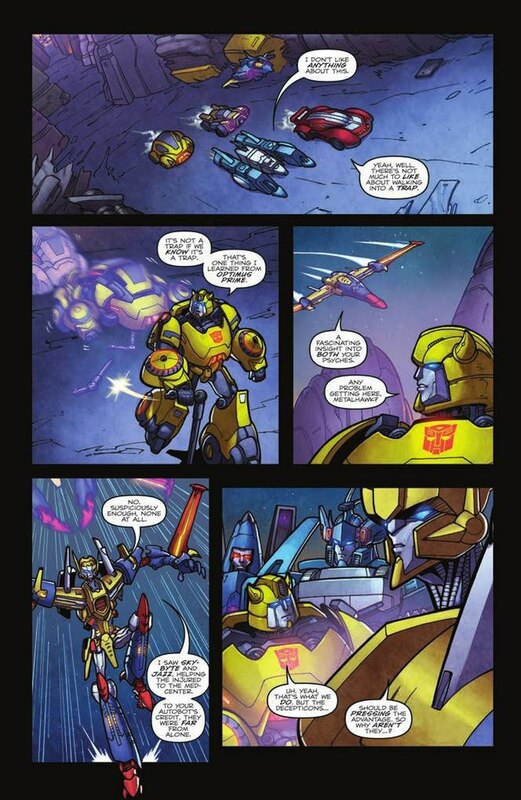 And to top all of this off, the last page set the stage for the next issue and immediately left me wanting more. 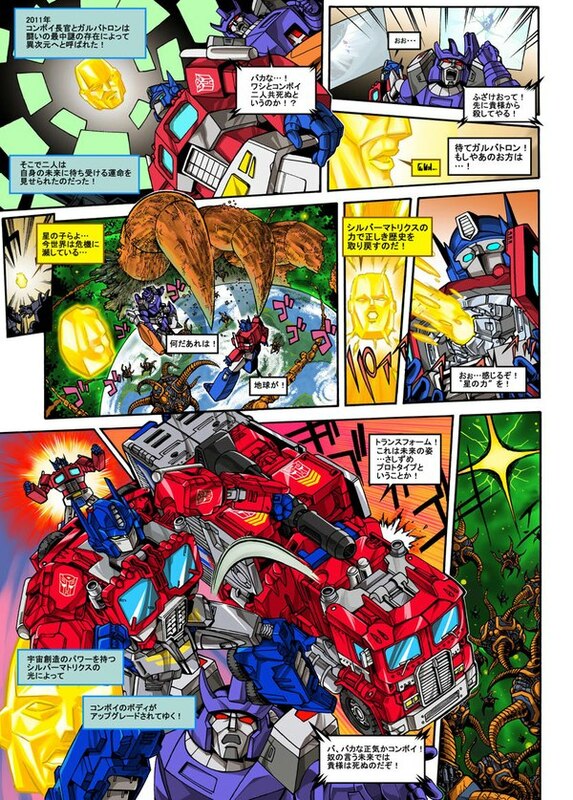 Megatron has planned for a lot, but that page shows that he hasn't planned for everything. Last month I said it was going to be a long month, and we've got another one ahead of us. Luckily there's plenty other good and great Transformers comics to pass the time.